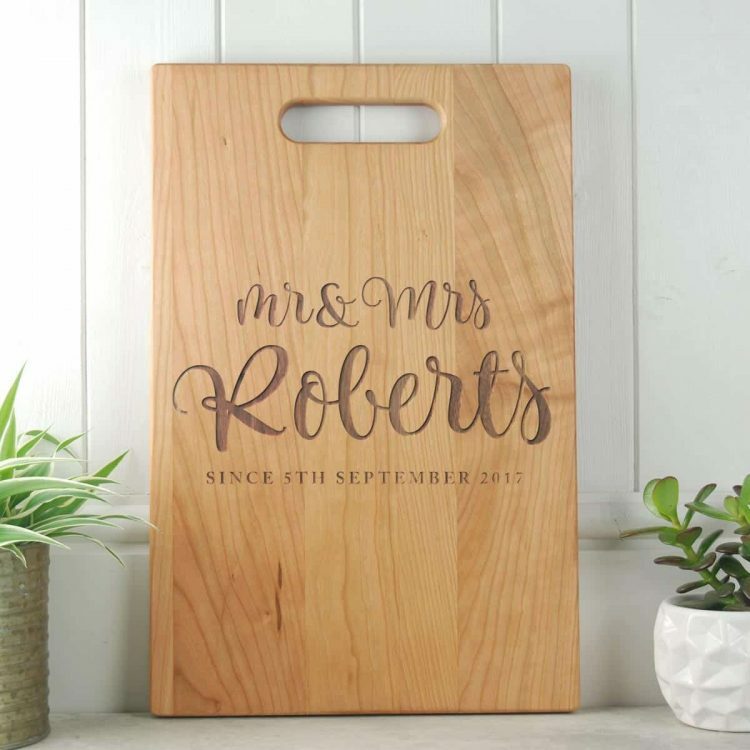 A wonderful gift that can be used for proud display and practical use in the kitchen! 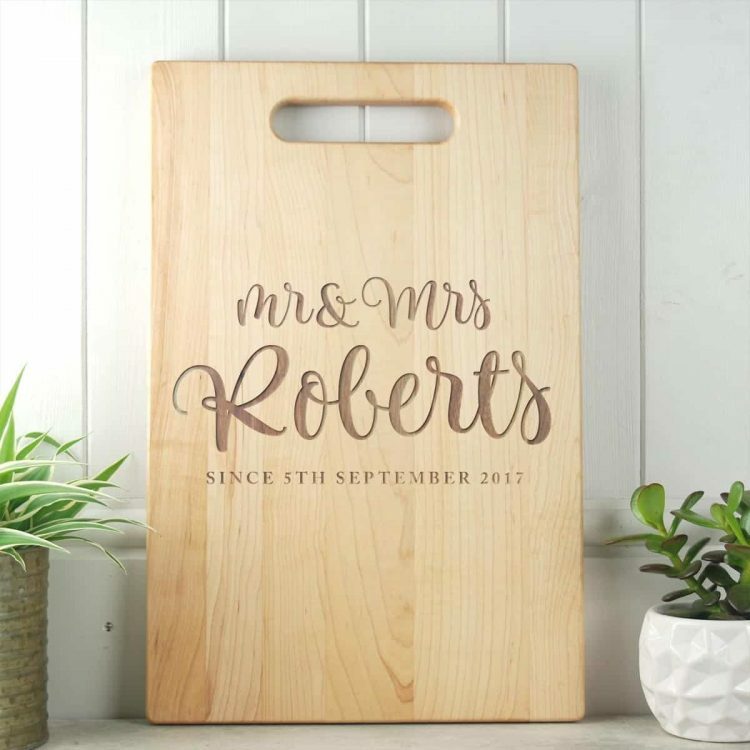 A customised high quality solid timber chopping board is a perfect gift for newly weds, new homeowners or why not for yourself as a clever anniversary gift. Just include the text when ordering and we can make it just how you want it and if you need to see a proof first, just ask and we can email it on. If you need anymore information please contact us via the ‘ask seller a question’ button. This piece will make a stunning gift for a newly married or recently engaged couple. The engraved side will be proudly displayed in the kitchen or dining room and the other side can be used for cutting. Available in a choice of timbers, the natural grain and beautiful finish of these chopping boards make them a joy to handle. Great to use for serving cold meats, cheeses, anitpasti or more. 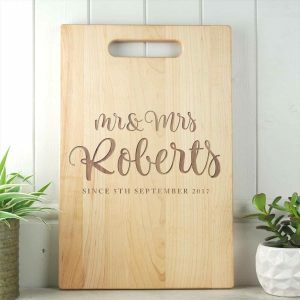 These chopping boards can be hand washed and left to dry on the worktop and will endure but make sure not to put in the dishwasher. Can be treated with a preferred cooking oil or mineral oil from time to time to keep in perfect condition.